This item is currently out of stock. No estimated restock date is available at this time. 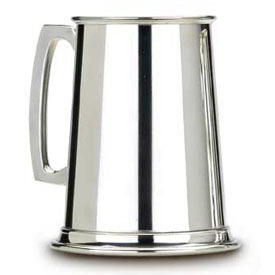 This simple-but-beautiful, lead-free pewter tankard with a square handle will hold a full pint. 16 ounce capacity.